Most of us should spend about three months studying for the GMAT. However, your perfect GMAT timeline might look different! 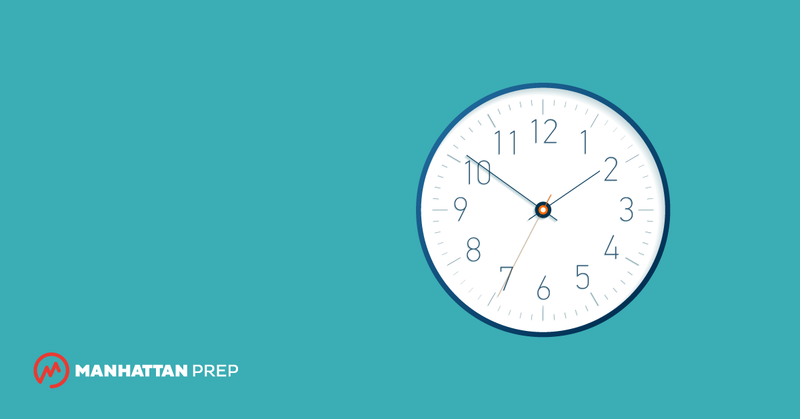 Keep reading for a look at what goes into a great GMAT study schedule. How Long Do People Study for the GMAT? In 2016 and 2017, the GMAC included a question about how long people study for the GMAT on their yearly test-taker survey. Here’s a page showing some results from 2016, and here’s a different view from 2017. In 2016, just over half of all test-takers studied for 50 hours or more, and a quarter studied for more than 100 hours. The more hours a test-taker spent studying, the higher their score was likely to be. At the high end, people who scored 700+ on the GMAT studied for a median time of 90 hours before taking the test. That information shows that the GMAT isn’t just about your natural abilities. People who get a great score on the GMAT don’t get there overnight! On average, high scorers are studying more than everyone else. The 2017 data is segmented by location, and it shows the number of weeks or months spent studying, rather than the number of hours. In the United States, the median number of study hours was 48, and the median number of weeks spent studying was between four and six. So the average GMAT test-taker probably studies for around 50 hours, over the course of 1 to 1.5 months. However, high scorers study more than this. Studying for the GMAT is an intellectually demanding activity. Regardless of how long you study for the GMAT, if you don’t feel challenged, you’re probably studying too passively! On top of that, you shouldn’t quit your job to study for the GMAT. And there’s the rest of the application process, such as writing your essays, to think about. You’ll need to balance the intellectual challenges of studying for the GMAT with the other demands of your life. Because you’re human, you can only put in a certain amount of brain work in one day before you no longer get anything out of it. (Plenty of famous creative types have sworn by the 4-hour workday.) You’re also limited by your natural attention span: your brain can focus for about 90 minutes before it needs a break. However, studying for the GMAT every day—or almost every day—is important too. Especially when you first learn a new concept, revisiting it frequently, in small chunks, is a good way to build durable memories. To sum it up, your study week should include study sessions nearly every day, but you should avoid studying for more than a few hours in one day, and you should take a break at least every 90 minutes. How many hours can you fit in by doing that? Here’s an example study calendar. This calendar includes a couple of quick early-morning problem sessions (set your alarm half an hour earlier), an hour or two of studying most days after work, and a longer session on one weekend day. That schedule would give you 11 hours of solid study time in one week. In general, 10 to 15 hours per week is a good target for those of us with conventional work hours. If you have more or less free time, you can make your study schedule more or less dense. Just don’t try to make up for a lack of time during the week with marathon Saturday-Sunday cram sessions! You’re better off slowing down your study timeline than trying to fit 20 hours of studying into two days. Try this experiment: for one week, write down exactly how long you study for the GMAT. You might find that you’re spending more or less time than you think you are, and you might realize that you’re not taking advantage of free time during your day. People who score 700+ on the GMAT study for about 90 hours overall. A strong GMAT study schedule involves somewhere between 10 and 15 hours of studying per week. Doing the math, that gives you somewhere from 6 to 9 weeks of studying for the GMAT—assuming that you’re able to be 100% consistent, every single week, and you don’t decide to take the GMAT twice. To plan for the unexpected, you should give yourself slightly more time than that. That’s why we recommend planning about three months of studying, or a bit more if you’re going to retake the test. Here’s a short outline of what those three months might look like, if you’re enrolled in a GMAT Complete Course or using GMAT Interact. That’s a total of 13 weeks, or right around 3 months. However, before making assumptions about your study calendar, be sure to take a practice GMAT. It’s possible that you only need to study for one section of the test, or that you only have to brush up on a couple of weak areas. Regardless, make sure to leave at least 1-2 weeks at the end of your study calendar to review and ‘warm up’ for test day. What If Studying for the GMAT Takes More Than Three Months? You might want to answer “how long should I study for the GMAT?” with “as long as possible!”. After all, if high scorers study more, then the more you study, the better—right? That’s only true up to a certain point. We already discussed the challenge of staying actively engaged with your studies. More importantly, if you spend too long studying for the GMAT, you risk burning out. Studying, especially on top of a full-time job, can be exhausting. And you can’t study your way out of GMAT burnout. The only solution to burnout is to take a serious break from the GMAT and allow yourself to mentally recover. In fact, burnout may be why your score isn’t going up—and studying even harder, and for even longer, can leave you stuck in a vicious cycle of exhaustion and frustration. If you’re well over the three-month mark and your scores aren’t improving despite consistent work, it’s time for two things: a break from the GMAT, and then a drastic change in how or what you’re studying. (Consider chatting with a Manhattan Prep GMAT tutor about what changes to make.) Don’t worry about forgetting everything you’ve already learned! You definitely won’t forget everything—and when you do forget something, learning science suggests that re-learning it will only result in stronger memories. Be aware that your practice tests probably won’t improve linearly. You might have only gone from 500 to 550 in the first month of studying, but that doesn’t mean it’ll take you another three months to get to 700. GMAT scoring just doesn’t work that way! If you haven’t put in at least a couple of months, be patient and trust the process. 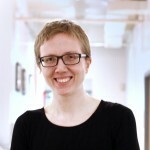 Finally, GMAT instructor Ceilidh Erickson wrote this wise and compassionate article about when to stop studying for the GMAT. I could quote it here, but if your study timeline isn’t working out, you should just go ahead and read it! You shouldn’t plan on studying for the GMAT forever! About three months of consistent work is enough time to familiarize yourself with the material and learn how to take the test. That doesn’t mean that everybody will reach their goal score in a few months—but if you’re spending too much time on the GMAT and you’re starting to burn out, you’ll need to make some changes to reach your goal. And whether you’re reconsidering your study schedule or just getting started, go check out our guide to studying for the GMAT for some helpful advice!